McKay Jenkins from McKayJenkins.com has been writing about people and the natural world for 30 years. Not only is he the author of Food Fight, but is also the author of ContamiNation , which chronicles his investigation into the myriad synthetic chemicals we encounter in our daily lives, and the growing body of evidence about the harm these chemicals do to our bodies and the environment. His book, Poison Spring, co-written with E.G. Vallianatos, has been called “a jaw-dropping expose´ of the catastrophic collusion between the Environmental Protection Agency [EPA] and the chemical industry.” Jenkins holds degrees from Amherst, Columbia’s Graduate School of Journalism, and Princeton, where he received a PhD in English. Jenkins is currently the Cornelius Tilghman Professor of English, Journalism and Environmental Humanities at the University of Delaware, where he has won the Excellence in Teaching Award. 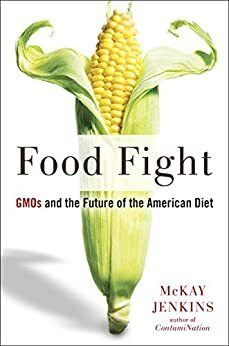 Listen in today as Jimmy and McKay discuss the history of GMOs in the United States, how these products are effecting our food supply and whether these foods are the real culprits in America's war on obesity. Victor Macias and Kristoffer Quiaoit from KetoKookie.com are two friends that went on the Ketogenic diet, lost fat, and felt amazing. Kristoffer, an educator, foodie, and Keto convert, discovered the Ketogenic or low-carb high-fat lifestyle listening to a Tim Ferriss podcast featuring a neuroscientist named Dom D’Agostino. He tried it for himself and was excited about the results, so he convinced his friend Victor to give it a shot. The one challenge they faced was sweet cravings, and they missed snacks they could just grab out of the pantry. So with a little magic, they made Keto Kookies, a sweet and buttery harmony of almond flour, dark-chocolate, coconut, grass-fed butter, and natural sweeteners. They sent out samples to random people and the response was: “OMG Delicious” (Mhmm), “It taste better than my mom’s. Don’t tell her that” (We won’t), “By far the BEST cookie I have ever had” (Sure is). Listen in today as Jimmy chats with Victor and Kristoffer about their journey to keto and founding Keto Kookie, what they've learned along the way, their love of inspiring others, and how customers have responded to Keto Kookies. Dr. Perlmutter of DrPerlmutter.com is a Board-Certified Neurologist, Fellow of the American College of Nutrition and four-time New York Times bestselling author. He received his M.D. degree from the University of Miami School of Medicine where he was awarded the Leonard G. Rowntree Research Award. He has published extensively in peer-reviewed scientific journals including Archives of Neurology, Neurosurgery, and The Journal of Applied Nutrition, and is a frequent lecturer at symposia sponsored by such medical institutions as Columbia University, Scripps Institute, New York University, and Harvard University. He serves as Associate Professor at the University of Miami Miller School of Medicine. Dr. Perlmutter has appeared multiple times here on The Livin' La Low-Carb Show as well as many nationally syndicated television programs including 20/20, Larry King Live, CNN, Fox News, Fox and Friends, The Today Show, Oprah, The Dr.Oz Show and The CBS Early Show where he has championed the ideas he set forth in his bestsellling Grain Brain series of books. Listen in today as Jimmy talks with Dr. Perlmutter about his books that have been published in 28 languages and include Grain Brain, The Surprising Truth About Wheat, Carbs and Sugar, with over 1 million copies in print. 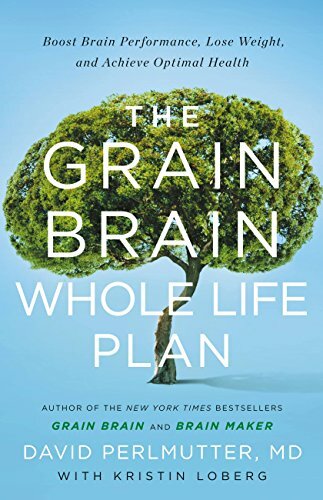 Dr. Perlmutter shares about his new book The Grain Brain Whole Life Plan: Boost Brain Performance, Lose Weight, and Achieve Optimal Health and what he's learned about the role of fat and sugar on brain health. Back in Episode 967 we introduced you to Amy Berger MS, CNS, NTP, of TuitNutrition.com. Amy has a master’s degree in human nutrition and is a Certified Nutrition Specialist and Nutritional Therapy Practitioner. A proud U.S. Air Force veteran, Amy spent years doing what nutrition and health experts claimed were “all the right things” to lose weight and maintain optimal health, but failed to experience the expected results. 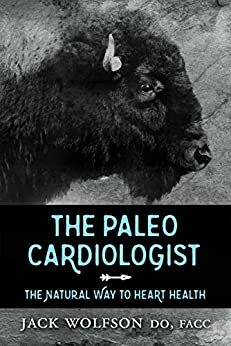 Wanting to understand why the conventional advice about low-calorie, low-fat dieting and lots of exercise did not lead to the promised outcomes, she began researching physiology and biochemistry and came to learn that much of what we currently believe about “healthy diets” is misguided, and, in many cases, downright incorrect. Listen in today as Jimmy and Amy talk about her mission to educate others with the fact that vibrant health does not require starvation, deprivation, or living at the gym. Men and women cannot live by lettuce alone, instead real people need real food! 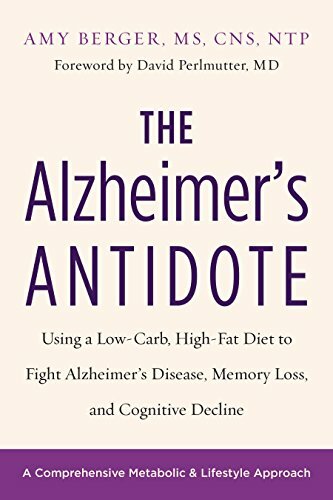 Amy also talks about the re-release of her book The Alzheimer's Antidote: Using a Low-Carb, High-Fat Diet to Fight Alzheimer’s Disease, Memory Loss, and Cognitive Decline, and how the ketogenic diet is helping people live fuller, happier and healthier lives. Nate Elmore from the Achieving Alpha Podcast is a Corporal in the Marine Corps Reserves and is a fitness enthusiast. Nate also runs Fitness Coaching 365, and online private fitness coaching community of motivated individuals who perform 10 minute body weight workouts every weekday, including two high intensity interval training sessions. 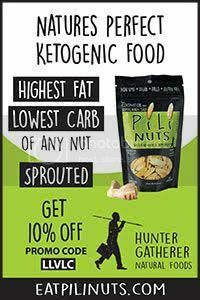 In his personal training, Nate encourages his clients to use the ketogenic diet for maximum results. Listen in today as Jimmy interviews Nate about achieving fitness goals, how the ketogenic diet changed his perspective on nutrition, how he decided to start his own fitness podcast and the amazing guests he's had the privilege of interviewing, and how a young woman on the beach motivated him to get in the best shape of his life. Tom Naughton from FatHead-Movie.com is no stranger to the low-carb, high-fat, ketogenic community, or to The LLVLC Show. Tom's fantastic, low-carb cult file Fat Head has motivated people from all over the world to try this healthy way of eating. The film really resonated with a particular group of people that found the content, although very serious, funny and entertaining. 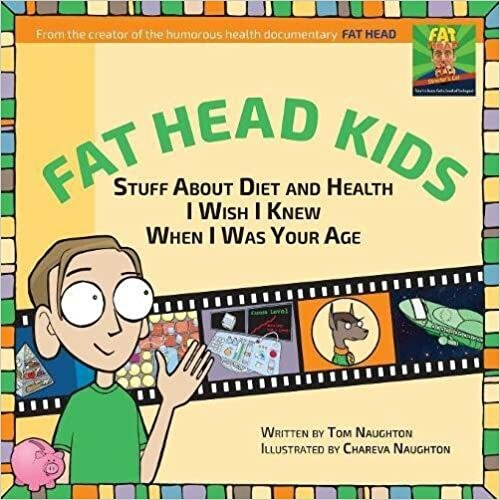 With that encouragement, and the lessons they've learned with their own two daughters, they created the new book Fat Head Kids: Stuff About Diet and Health I Wish I Knew When I Was Your Age. Listen in today as Jimmy and Tom chat about the new book, communicating with the younger generation, what Tom is up to these days, his public speaking and much more. Leanne Vogel from HealthfulPursuit.com is the founder of Healthful Pursuit, best-selling author of over 11 health programs, host of The Keto Diet Podcast, author of the upcoming paperback, The Keto Diet, and the creator of Fat Fueled living - a holistic, paleo- friendly approach to a ketogenic, high-fat diet. She has been in the field of nutrition since receiving her holistic nutrition certification in 2007. Leanne shares free videos, podcasts, recipes and keto-friendly resources on her blog, healthfulpursuit.com. Listen in today as Jimmy talks with Leann about her personal experience with the keto diet, the different paths to keto, self-care and acceptance and her new book The Keto Diet: The Complete Guide to a High-Fat Diet, with More Than 125 Delectable Recipes and 5 Meal Plans to Shed Weight, Heal Your Body, and Regain Confidence. 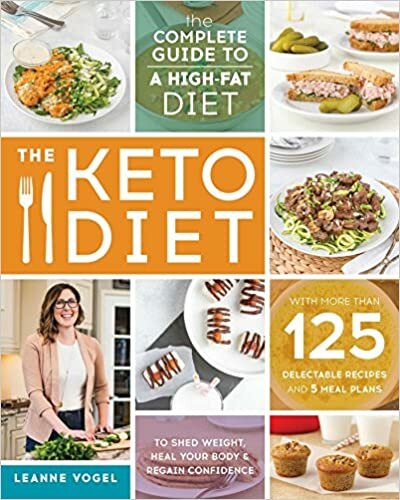 – The Keto Diet: The Complete Guide to a High-Fat Diet, with More Than 125 Delectable Recipes and 5 Meal Plans to Shed Weight, Heal Your Body, and Regain Confidence. Eric Remensperger from QuestToCureCancer.com has been a transactional attorney for 30 years and currently heads up a West Coast real estate practice in Los Angeles. However, his passion for the last two decades has been “all things related to health” . . . and his passion found a purpose when he was diagnosed last Spring with stage IV prostate cancer. He did a deep dive and was able get the cancer into remission rather quickly (within seven months) using a multi-modal approach. Listen in today as Jimmy and Eric talk about Eric's quest to find the cure for cancer. Eric and Jimmy discuss how a ketogenic diet might play a role in bringing cancer into remission as well as his thoughts on fasting, detoxification, oxidative therapies, herbs and spices, and much more. Dr. Terry Wahls from TerryWahls.com is a functional medicine practitioner, clinical researcher, and clinical professor of medicine at the University of Iowa. Though she is at the forefront of functional medicine, what sets Dr. Wahls apart is her experience using nutrition and lifestyle interventions to treat progressive health problems to heal her own MS, and later, that of others. Within a year of beginning her Wahls Protocol, Dr. Wahls went from being bound to a zero-gravity chair to completing an 18-mile bike tour - without any disease modifying drugs or surgery. 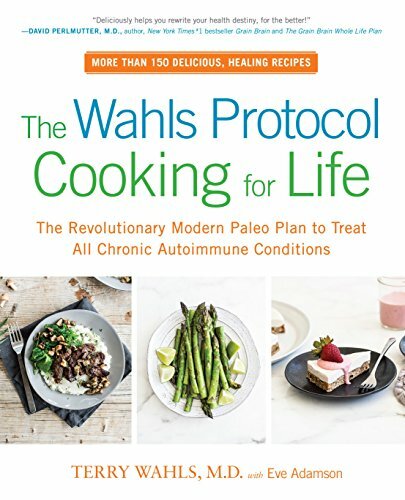 Listen in today as Jimmy and Dr. Wahl talk about Dr. Wahls' personal journey treating her own chronic disease, how she treats others with the Wahls Protocol, how you can get your family on board with this treatment as well as Dr. Wahls' new book The Wahls Protocol Cooking for Life: The Revolutionary Modern Paleo Plan to Treat All Chronic Autoimmune Conditions. Stephanie Dodier of StephanieDodier.com is a Clinical Nutritionist, Weight Loss and Emotional Eating Expert. Stephanie’s integrative and comprehensive approach to nutrition focuses on finding the root causes to your cravings and finding alignment in both your body and mind. Stephanie’s has been there too; her health journey began 6 years ago while working as a senior executive in Fortune 500 corporation she suffered severe panic attacks to lead to a complete life transformation allowing to get her health back. Listen in today as Jimmy and Stephanie talk about her process of transformation, including Stephanie’s amazing 100 lb. weight loss as well as how she resolved many other health conditions. Stephanie shares with Jimmy her passion for sharing her journey with other women while educating and empowering them to the same results using tools like the Keto Connector. Dr. Stacey Reason was always interested in sports, but could never understand why her performance didn’t measure up despite doing more training than her friends. In 2005, Stacey was hit by a car while out for a jog and was forced to take a few years off all exercise due to her injuries. Upon starting exercise again, she went for a swim and suffered rhabdomyolysis and was hospitalized with a CK of over 200,000 U/L. Interest from a nephrologist eventually led to a diagnosis of McArdle disease in 2008. Feeling alone and misunderstood, Stacey started the McArdle Disease FaceBook group (2009). Today this social networking site provides support and evidence-based information to over 1500 members worldwide. This group has been instrumental in connecting people, communicating current best practice, and helping newly diagnosed patients learn effective day-to-day management strategies. Listen in today as Stacey and Jimmy talk about how In 2014, Stacey learned about the low-carb ketogenic diet from a fellow patient, and how Ketosis enabled her to fuel her muscles more effectively - thereby alleviating the classic symptom of activity/exercise intolerance. Stacey also shares her story of how In 2010, she joined others in the 'Walk over Wales’ - 32 days, 340km and numerous mountains. This experience helped Stacey recognize the signs of cramping and various techniques to use. To help other patients recognize they are not alone in their experience of living with a rare disease, Stacey wrote a book entitled ‘One Step at a Time’ about her journey across the Welsh hills. This story traces the author’s route, thoughts and emotions on her life-altering journey of discovery and growth. – Can a Low-Carbohydrate Diet Improve Exercise Tolerance in Mcardle Disease?